On National Indigenous Peoples Day on June 21, 2018, United Way Centraide Canada (UWCC) joins United Way Centraides (UWCs) and Canadians across the country in celebrating the heritage, cultures, and contributions of First Nations, Inuit, and Métis Peoples in communities. In the era of truth and reconciliation, honouring the contributions of First Nations, Inuit and Métis People on June 21st has never been more important. Indigenous leaders across the country have played, and are continuing to play, valuable roles in promoting education and understanding, increasing the dialogue between Canadians on our history, advocating for the rights of Indigenous Peoples and developing a vision for our future. Canada is rich with Indigenous social, political, and community leaders. Individuals like Duncan McCue, Cindy Blackstock, Roberta Jamieson, Edith Cloutier and Max FineDay—among so many others—are demonstrating Indigenous excellence, strengthening communities and fostering dialogue. Inspired by the Truth and Reconciliation Commission’s Calls to Action, we know that education and understanding are foundational to our path forward. In doing our part to support the realization of that call, UWCC share the following collection of educational resources, outstanding Indigenous achievements, and opportunities for engagement and reflection. When the Truth and Reconciliation Commission’s preliminary report was released, Commissioner (now Senator) Murray Sinclair remarked, “‎Education has gotten us into this mess, and education will get us out.” He challenged Canadians—as parents, teachers, family members, friends—to educate the next generation and ensure racism has no place in our future. Since the release of the Commission’s final report and calls to action, organizations from across Canada have actively developed learning materials in response. The National Centre for Truth and Reconciliation (NCTR) has compiled age appropriate reading lists for primary, middle years, and high school aged students. These stories offer young people a way to learn about and explore Indigenous cultures and illuminate the human impact, dispossession, and harm experienced by Indigenous People in Canada. NCTR is also calling on young people across Canada to share their own vision of what reconciliation can be. Imagine a Canada encourages children and youth to express their vision for reconciliation through art, poetry, song or any other way they see fit. The CBC has published and produced a number of learning resources, including a series of stories in their parenting section. The stories share how to talk to your child about truth and reconciliation, a guide to attending your first powwow, growing a three sisters garden and much more. For teachers, the First Nations Education Steering Committee and First Nations Schools Association have developed teacher resource guides for Grades 5, 10, 11, and 12. These guides, designed for students of all backgrounds, will help youth gain an understanding of our history, our relationships and help engage youth to take part in our journey forward. Equally important to the education of young people is educating ourselves on the history and current state of Canada’s relationship with First Nations, Inuit and Métis People. The Truth and Reconciliation Commission’s Final Report examines one of Canada’s most significant historical injustices against Indigenous Peoples—the residential school system. This report is based on six years of work and more than 6,000 interviews by the Truth and Reconciliation Commission of Canada. If you have not already done so, read the 94 calls to action. Explore the resources made available by the NCTR, including documentaries, videos and a reading guide for adults. Learn about the residential school system across Canada. Between the 1870s and 1996, more than 130 residential schools operated in communities across the country. CBC has created an interactive map that illustrates the scale of the residential school system and helps you identify which facilities operated near you. The four-part CBC series 8th Fire shows the complexity of Canada’s 500-year relationship with Indigenous peoples and the opportunity moving forward. Host Wab Kinew reviews the relationship between Indigenous and non-Indigenous people, and highlights the urban Indigenous population, the argument for fixing Canada’s relationship with Indigenous Peoples, the role land has played in this conflicted relationship, and the role of youth in guiding us in a new direction. Acknowledging territory shows recognition of and respect for the Indigenous Peoples on whose traditional territories we live and work. The Canadian Association of University Teachers’ Guide to Acknowledging First Peoples & Traditional Territory and Whose Land are both resources to support the learning of this practice. When using these resources, remember that the best acknowledgements come from both the head and the heart. Speakers are encouraged to use their own words to acknowledge territories, peoples, and treaties. For United Way Centraides, understanding individuals in our communities and the barriers they face are critical for our success moving forward. The Urban Aboriginal Knowledge Network (UAKN) supports research aimed at fostering mino-biimaadiziwin (the good life of all beings, according to Anishinaabe teachings) for urban Indigenous Peoples. Similar to the rest of the Canadian population, the majority of Indigenous people live in urban centres. Through funding policy-relevant research, the UAKN is bringing together perspectives from academia, government and the urban Indigenous community to develop important insight into urban Indigenous issues. The work of Jesse Thistle, a researcher and National Representative for Indigenous Homelessness for the Canadian Observatory on Homelessness, has created a definition of Indigenous homelessness in Canada. Unlike other definitions, this definition positions Indigenous homelessness within Indigenous worldviews and the history of colonialism. This lens on homelessness is critical for our work moving forward, advancing our efforts to end homelessness for all Canadians. The Aboriginal Peoples Television Network (APTN) hosts a daylong broadcast of National Indigenous Day Live . On June 23, celebrations will be held in Winnipeg, Toronto and Ottawa and feature musicians, dancers and poets. Indigenous Day Live is a free celebration open to all Canadians—on location in the host cities, via a live five-hour TV broadcast on APTN, via participating radio stations, and online. The Indspire Awards, an event honouring Indigenous successes and achievements, is celebrating its 25th anniversary. To date, the Indspire Awards have honoured 350 First Nations, Inuit, and Métis individuals who have made outstanding contributions to Indigenous communities. 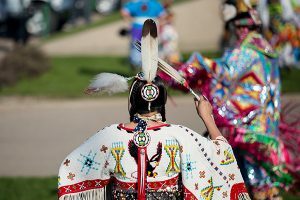 The show is a nationally broadcasted celebration of culture, and features performances by Indigenous talent from across Canada. The 2018 awards will broadcast nationwide on June 24, 8 p.m. (8:30 p.m. NT) on CBC, CBC Radio One and www.cbc.ca/watch.